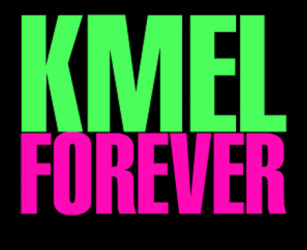 CLICK BELOW TO HEAR EVAN LUCK ANSWER THE QUESTION: WHAT DO YOU THINK MADE KMEL SO POPULAR? CLICK BELOW TO HEAR EVAN LUCK ON HIS LIVE BROADCASTS. CLICK BELOW TO HEAR EVAN LUCK ON HIS MOST MEMORABLE MOMENTS AT KMEL. CLICK BELOW TO HEAR EVAN LUCK ANSWER THE QUESTION: WHAT DID YOU LIKE BEST ABOUT WORKING AT KMEL? CLICK BELOW TO HEAR EVAN LUCK ANSWER THE QUESTION: HOW DID YOU END UP IN COSTA RICA AND WHAT ARE YOU DOING NOW?